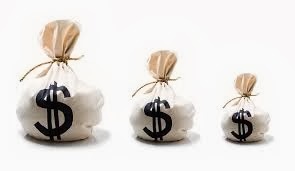 How to Reduce Business Costs - Something New Everyday! Business costs are sub-classified into two categories; Fixed Costs and Variable Costs. 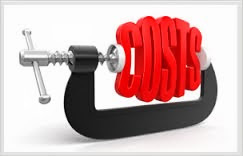 Fixed costs are defined as the expenses which do not change as a function of business such as salaries of employees, rents of the office, facilities and equipment costs. However, please don't get confused that Fixed Costs cannot be changed. Indeed they can be changed but their prime definition remains the same that these costs are stable for longer duration of time and do not usually get impacted due to on-going business volume. On the contrary, the Variable Costs are the ones which keep changing due to multiple factors. i- How much budget was utilized for marketing in last 6 months? How much the marketing has been effective? Is there any need to re-evaluate the marketing strategy? ii- How much investment is done on customer's entertainment? iii- Do you do a monthly expense analysis audit? Do you know specific techniques to optimize your marketing budget such as AdSense, affiliate marketing etc? iv- Do you consider B2B marketing, email marketing, banner advertisement, pay per click, video marketing or SEO optimization? i- Does the company's office and warehouse at different locations? Why not having both at same location to reduce renting and transportation costs? ii- Any recent audit done to determine if the current rented space for office or warehouse is worth its expenses? Is the size and cost in sync with the requirements of business? Can this be moved to a less costly area? iii- Is there any tools, machinery or other resources which can be leased to earn some extra cash? Any marketing plans to do this? i- Are there any underutilized employees? Can some extra tasks given to these employees to make them more productive or 'earning' resources? ii- Can some of the permanent staff be converted to contract based? This will save extra benefit and reduce your long term liabilities. iv- Did any re-evaluation of resource responsibilities happened in last one years? Are there any employees with duplicate roles? v- Company sponsored mobile phone packages are fairly used? The packages are carefully selected based on the role of each employee? Any audit happened for the utilization of mobile and other resources given to employees? vi- Are the employees trained enough to perform their duties so that they make less errors and mistakes? vii- Right policies are in place so as to reduce the reworks? What is the accountability mechanism? viii- Mature and error free databases are in place for efficient and accurate reports generation and to avoid errors in data entry? ix- Is there any scheme available through which employees are given suggestions for the improvement of organizations and get rewarded if their suggestions are implemented? x- Any specialised use of tracking employee online activities such as Manic Time? xi- Employee lay off should be last thing to do as it impacts your organization in many ways such as loss of sincerity, productivity and efficiency of the rest of the employees. i) How vehicles are utilized in a day to day work? How much company is flexible for the utilization for personal use? ii) How vehicles are maintained? Is this task given to any agency to avoid corruption and in order to enjoy free benefits such as car replacements ,free wash, oil, and tuning services? iii) How vehicles are tracked for the daily utilization (how many kilo meters travelled, how could multiple visits or same kind of visits be reduced? iv) Pick and drop of employee is happening on bulk basis or at individual level? v) Restriction of some of the travel (local and abroad) possible? i) Motion detection Sensors installed for turning lights off during off hours? ii) Sleep mode enabled on laptop computers? iii) Older bulbs/fans/computers are still being utilized which are poor when it comes to energy efficient devices selection? i- How many printers & Scanners are in place? Can we reduce some of them? ii- How many pages are printed per day? Any mechanism to control it? iii- Is there any over utilization of pantry products? Employees are encouraged to use non-recyclable things? iv- Which of the policies and processes can be converted to paperless by avoiding photocopying/ printing/ reproducing ? Can you run a paperless company altogether? v- Is there any strong mechanism of inventory management? Any products lost because of poor control on hardware resources ? With these recommendations, I believe any company can optimize their business costs consequently improve their profit margins. How to you optimize the costs in your organization?